February is Black History Month, a time to reflect on injustices toward, and successes of, Black Americans throughout our country’s history. During this month, we will see many tributes to incredible people like Dr. Martin Luther King Jr., President Obama, and Frederick Douglass. These are all men who have done extraordinary things, but it is important that we include all types of people in reflections during Black History Month, specifically black individuals with disabilities. Every person has a complex identity that is made up of many parts, which can sometimes come into conflict. Those way those parts of your identity work together are known as intersectionality. Your identity is made up of your history, heritage, race, gender, sexuality, socioeconomic status, and more. That is a lot of pieces to fit together! One aspect of identity that isn’t always considered is ability. Disability exists in every group of people, and it should be taken into consideration in every community. Movements that don’t include people with disability cannot be a fully just movement. That’s why we are highlighting members of the black community who have lived with disabilities. 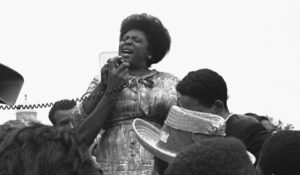 Fannie Lou Hamer was born in Mississippi at the beginning of the twentieth century. She was born into a family of sharecroppers, and she picked cotton for the first part of her life. Over the course of her life, she became a leader of the Civil Rights Movement, a powerful speaker who engaged crowds much like Dr. Martin Luther King Jr. did. Also like Dr. King, Hamer was arrested during a protest. After her arrest, she walked with a limp and had a permanent blood clot behind her eye. Her disabilities didn’t stop her. She continued to fight for civil rights, and eventually included human rights in her fight after being sterilized without her knowledge. The obstacles that come along with being both black and having a disability have not ended since Hamer’s death in 1977. Today, a leader for the black disability community is Vilissa Thompson, creator of the Ramp Your Voice movement. Thompson has osteogenesis imperfecta, a developmental disability that is known as brittle bone disease. Thompson is a social worker and an expert in educating the public about disability issues. 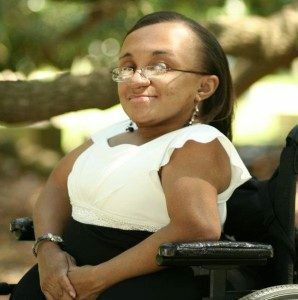 Through her work, she has been able to highlight issues that directly affect people with disabilities, educating the public through a large online following and public appearances. Thompson always brings with her an intersectional lens to her events, including her identities as both a person with a disability and a black woman. Many areas of disability policy revolve around the rights of individuals with disabilities, like housing, education, and employment. It is clear that disability rights are civil rights, and it’s important not to forget people along the way. Disability policy is often siloed into “disability issues.” But no one is only disabled. 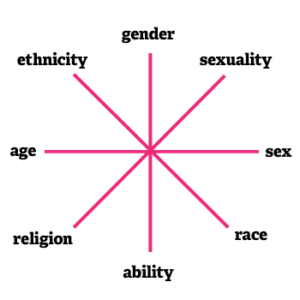 People with disabilities are varied and come in every type and color. Instead of segregating issues, policies affecting people with disabilities must be an intersectional fight, inclusive of many different identities at once.